I bought myself a Spiralizer a few years ago, and every now and then remember it and make myself some zucchini noodles (“Zoodles”), cucumber spirals or apple spirals for my daughter’s snacks, but otherwise really haven’t used it. Enter blogger, chef and teacher Stephanie Jeffs, who runs the popular site http://www.exploreraw.com. Jeffs latest offering is Spiralize!, a whole book devoted to the humble spiralizer. The basic tenet of the spiralizer is that you cut vegetables in such a way that they resemble pasta or noodles and are therefore able to replace those foods in recipes, making the vegetables more versatile and appealing. This is particularly important for those on a raw food diet or vegans, but also for everyone who wants to be able to turn their veggies into satisfying and healthy mains. 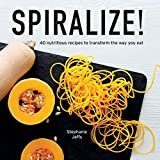 The book provides a simple primer on the spiralizer – different types and how to best use them (though they’re pretty intuitive), and then goes on to present 40 vegan recipes that use spiralized fruit and vegtables. Each recipe has a large, full colour picture, and nutritional information and are all designed for a novice cook. In other words, they’re dead easy to do. 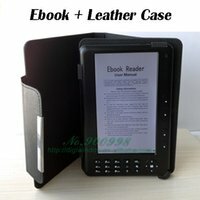 The recipes are organised by time of day, and range from breakfasts like Apple strudel smoothie bowl and Sweet potato waffles (a personal favourite of mine in this book), to lunches like Hot green tea noodle salad or Raw chinese stir-fry, and dinners like Tomato “pasta” bake or Zucchini pappardelle with spinach. There are also condements and snacks like Noodlekraut and cheezy fries. Desserts Fruit noodle trifle, and Raw persimmon orange cheesecake. Though zucchini, cucumber and apples are still the easiest to spiralize and therefore make up many of the base ingredients in this book, there are other vegetables here that I hadn’t thought of using like sweet potato (something of a revelation), parsnip, pumpkin and celery root, and persimmon (!). Not even the fanciest dessert is difficult, and the recipes will appeal to most people, even the pickiest eaters. I’m planning on a partially vegan Christmas this year and I’m really looking forward to trying some of these recipes – especially the Noodlekraut and Persimmon cheesecake. For anyone who has a spiralizer or who has purchased one and is not using it to its full potentially, this book is a must. It’s a relatively small book, but by using it, you’ll begin to think more creatively about the different ways you can maximise the benefits of your spiralizer, giving it new life and enhancing your own through better nutrition. Though I still enjoy Zoodles, the spiralizer has a lot more to offer, and Jeffs book has certainly broadened my culinary horizons and helped me get more use out of the spiralizer.